Bring your children aged 12 and under to our pop-up adventure playground at the Montessori School of Denver from 9:00 – 11:00am. Park on the street, or park in MSD’s dedicated parking lot or on nearby streets. And while we are hopeful that the weather will cooperate for us to hold on outdoor event, we will head indoors, if necessary. 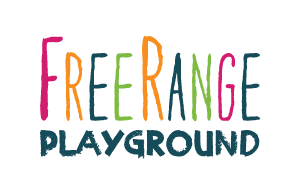 FreeRange Playground is happening, rain or shine!